Directions: In Morehead, at the signal light at junction of US-60W & Rt. 519, go 0.65 mile on Rt. 519, then left 4.9 miles on Dry Creek Rd. (Rt. 1167). Then left 0.9 mile on Oak Grove Rd. and left 1.0 mile on CCC Trail. 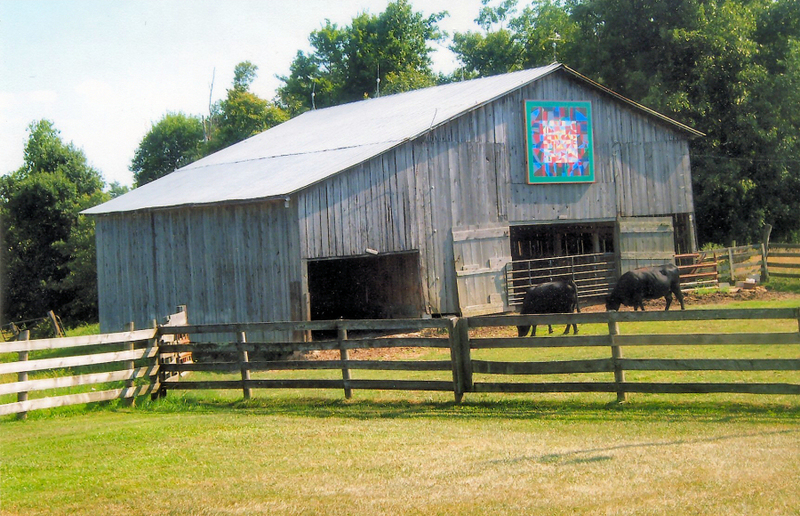 Barn sits at right. Two more barns sit just ahead and right beside the road. Painted by: Members of the Cave Run Arts Association at their studio and gallery located on E. Main St. in Morehead. Notes: The barn owners live directly across the road from the barn. They enjoy sitting on their front porch and seeing their beautiful quilt block. 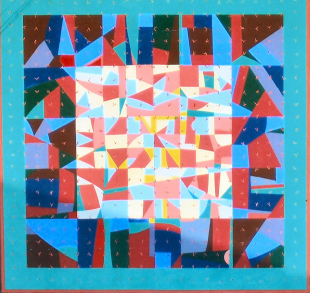 They report that early in the morning when the sun shines on the quilt square, the “stitches” in the Crazy Quilt just glisten.